Spiritual leaders are gatekeepers in the community. They are key to opening doors for the Gospel. When they have a revelation, they tell everyone about it. If they have an encounter with Christ, everyone will hear about Him. Ps. 98:2 The LORD has made his salvation known and revealed his righteousness to the nations. Lord, You are the true God, and there is no other. Your name is above all other names. There is no one who is like You, no one who can compete with Your love and faithfulness. Your name is worthy to be shouted from rooftops and glorified in every place on earth! 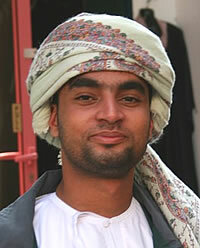 Lord, make Your salvation known to the Arab, Omani,. Call to account their spiritual leaders, and open their hearts to know You. Lord, reveal Your righteousness to the nations, let today be the day of salvation for a spiritual leader of the Arab, Omani,. I ask for dreams and visions and powerful encounters with Your spirit, that would offer undeniable evidence that You alone are God. Let them shout the news of Your son from all the high places, and open a gateway to the Arab, Omani, for the Good News! Break down the deception that clouds their mind from Your truth, and release the revelation needed to embrace Christ as their Savior. Cause their lives be a powerful testimony of Your truth and redemption. Let them shout the news of Your son from all the high places, and open a gateway to the Arab, Omani, for the Good News!